Yacapaca delivers criterion-referenced assessments. This makes it very useful for doing things like predicting exam grades, because exams are based on tightly-standardised criteria. A Grade C is the same in Barnsley as it is in Basingstoke. At the upper secondary stage (KS4 in England) we have been able to support a wide spectrum of qualifications, and given teachers a reliable tool with which to measure progression. The student interface is based around two lists, the To-Do List and the Archive. In the past, we’ve been a bit inconsistent with the To-Do List and included items that students might want to see, but did not actually have any action attached. That has now been cleaned up and a simple rule implemented. If it is in your To-Do List, then you should do it! 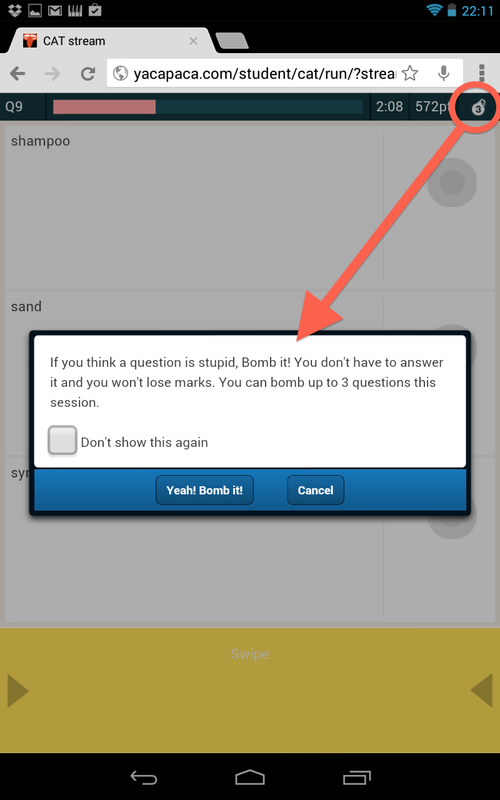 We now have an astonishing 288,000 questions in the Yacapaca question bank. Many of them were written by truly talented authors and do a great job of formative assessment. Some questions, unfortunately, weren’t. And don’t.